Raritan Center - Summit Associates Inc.
Raritan Center, located within Edison Township, is one of the largest business parks in the Northeast and the largest in Middlesex County, with approximately 13 million square feet of office, research, warehouse/distribution and industrial space in over 100 buildings with more than 3,000 tenants. With over 45 years of professional development already behind it, the former Raritan Arsenal has now evolved into one of most prestigious business parks in the Northeast with a daily workforce in excess of 15,000. The park is located at the hub of the New Jersey Turnpike at Exit 10, the Garden State Parkway, I-287, I-440, and Routes 1 and 9. The park is only twenty minutes from Newark International Airport and within thirty-five minutes of Manhattan. 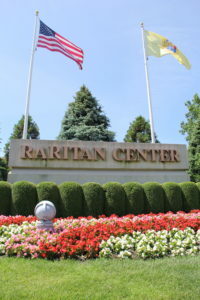 Combine its vast and diversified inventory, superior accessibility to New Jersey’s major highways, and the extensive and talented labor pool within close proximity, it’s easy to see why Raritan Center continues to be a thriving business hub and home to some of the nation’s most prestigious corporations. There is public transportation presently serving the park, which provides direct access to the heavily populated areas of Middlesex county. For more information please contact us at (732) 225-2900 or you can reach our Real Estate Department at Real_Estate@sairealestate.com.